We all are aware of the fact that we need to imbibe the habit of saving money but how do we save money when we don’t have any? If you’ve racked up huge amounts of debt, you shouldn’t start saving money as debt, when left unattended, can take a huge toll on your wallet and leave you a broke. The amount that you pay on the interest rates of the cards is likely to cancel any consequence that you might expect to get from your saving efforts. So, debt busters certainly help you but they’re not the only things that can help you secure your financial living. When you’re falling short of funds, your priorities do change but your necessities won’t. So how would you retain your shopping skills despite having a thin wallet? 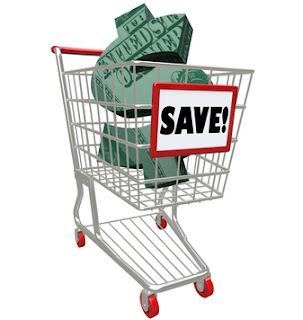 Are you aware of the smart shopping tips and the ways in which you can save money in order to make money? Read on the concerns of this article to enhance your knowledge on this. Cut down your cost of living : If you’re looking for ways to save money, you have to free up some money every month. The easiest way in which you can make a dent in your outgoing expenses is by cutting down your electricity bills and some other miscellaneous costs. Switch off the computer when you’re not using it, switch off the light when you’re not in the room as this will allow you to save money and energy. Use vouchers and coupons while shopping : There are certain shopping items that you just can’t do without but when you’re on a tight budget, you can do a quick browsing on the internet to check if there’s any money-off voucher or a code that offers a free delivery at home. Checking and doing your homework before buying things, just takes a moment, but it can help you save more than a fiver. Buy minutes for your phone card from eBay : Most people use TracFone for making pre-paid cell phone calls. But when it’s time to buy minutes for your phone, you shouldn’t make the mistake of buying them from Tracphone or Target or Wal-mart as this will cost you a huge amount of money. Get them from eBay! You may find Tracfone minutes for less than the normal retail cost in eBay and you don’t even require paying the shipping costs. Utilize the gift cards from eBay : You can also shop from eBay to buy gifts for personal use or from gifting others. You will find many gift cards listed on the website of eBay and this may range from clothing stores, improvement stores, restaurants and much more. There is lot of competition for gift cards on eBay and the cards worth $200 sell at $195. While this might not seem a huge savings for someone with enough cash, it might mean a lot for someone living on a shoe-string budget. Buy groceries in bulk from Amazon : Amazon is a website that sells lot of food and grocery items in bulk and at heavy discounts. Purchasing them at a bulk will help you save a considerable amount of dollars than getting them at the regular stores. Granola bars, shaving razors and cereal are some items that carry huge discounts. Buy used items from Amazon : We often hate the idea of using used goods but there are times when we’re forced to adopt this habit to save our dollars. There are attractive resellers on Amazon that sell used times just like the new items. However, you should make the necessary calculations to check whether or not you can save your dollars by buying a used book or a movie than buying a brand new one. Amazon won’t even charge you shipping costs! Although most of us know the importance of saving money and shopping smart, there are many who aren’t aware of the ways in which they should go about the way. If you too were oblivious of the smart ways to shop and save money, consider following the above mentioned points. Remember that a dollar saved is a dollar earned.